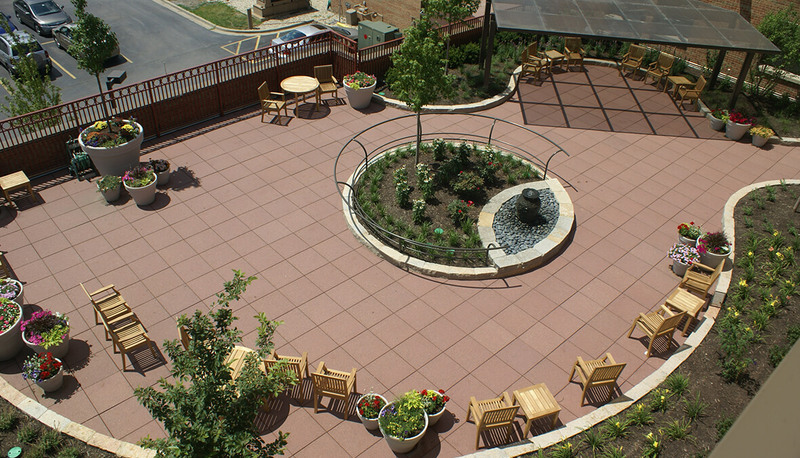 Hitchcock Design Group redeveloped the unused rooftop area at St. Patrick’s Residence, transforming it into an inviting, well-designed space for residents, families and staff to enjoy. 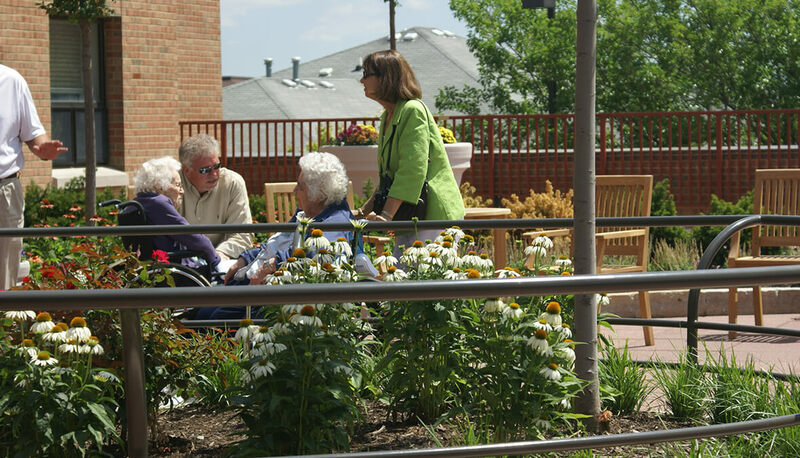 The redesigned rooftop garden space provides more shade, plantings and other features to encourage use by residents and staff so that they can receive the benefits of the therapeutic garden. 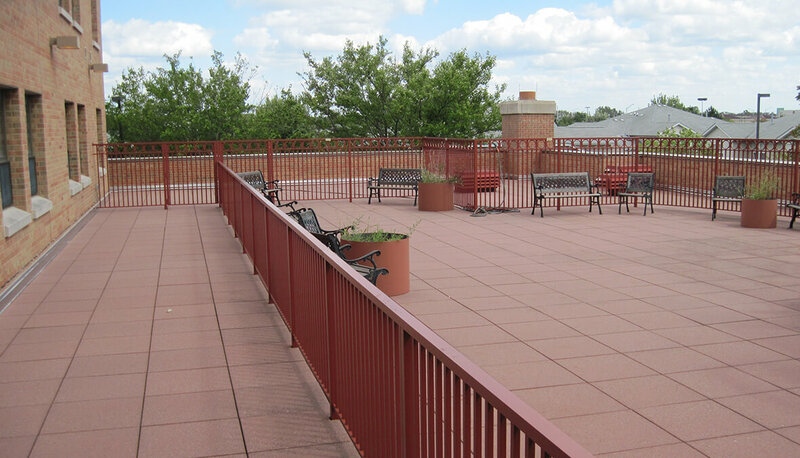 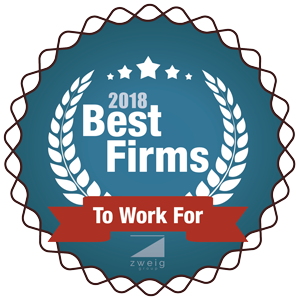 Through collaboration with the project’s contractor, the desired design goals were achieved while maximizing the client’s budget which has afforded the facility’s residents with a much more comfortable and calming outdoor space. 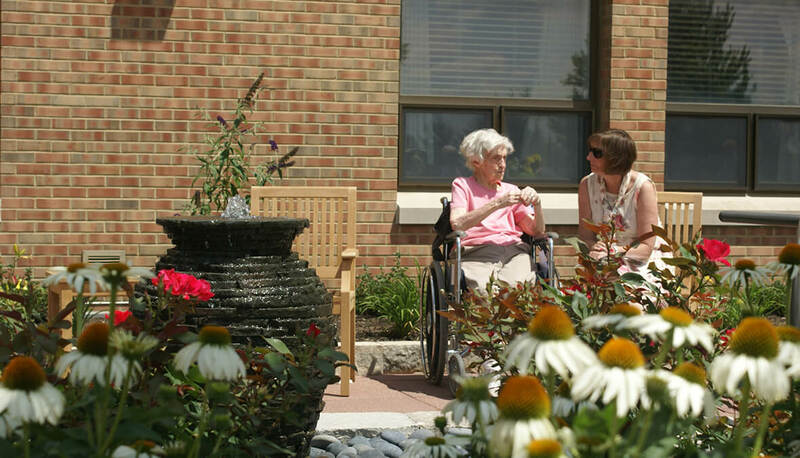 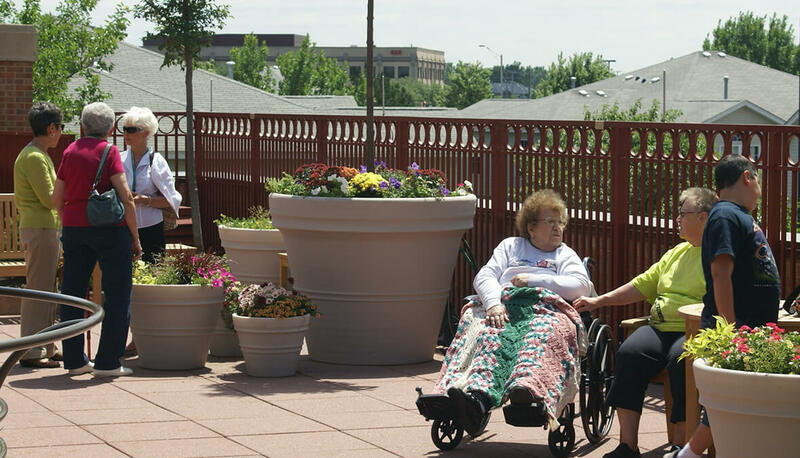 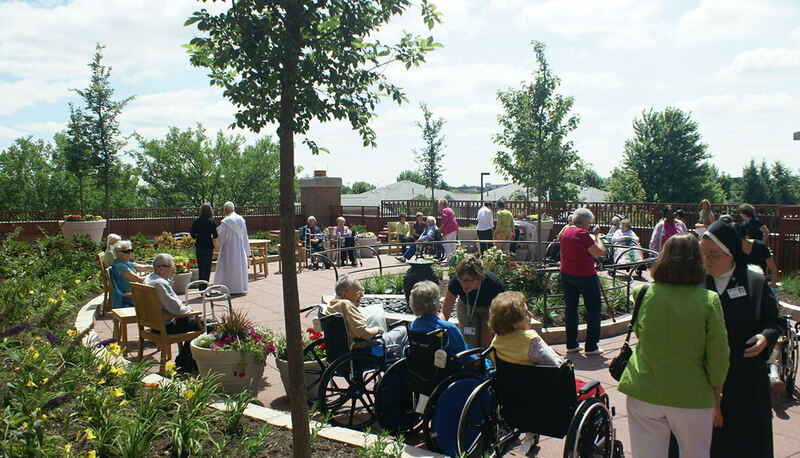 The garden features a shade structure, a water feature, handrails for physical therapy, pots for gardening by the residents, moveable furniture, and colorful plants for multi-seasonal interest.